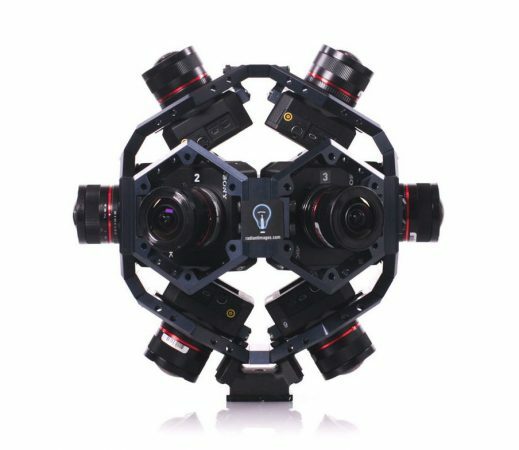 The AXA rig is a unique 360 camera rig that comes in three sizes to accommodate various high-end cameras such the Black Magic Micro Studio 4K, Arri Alexa Mini, and Sony UMC-S3C. Radiant Images posted a sample video from a version of the rig that uses the Arri Alexa Mini, but the sample seems to show that stitching will be a problem. Looks like they’ve composited video footage with still footage to get the end result – some of the people on the last shot (the ones without missing heads) are frozen in place. I’d treat this footage with a pinch of salt.